So finally, I’m back to Delhi after my cousin’s destination wedding in Agra and I can’t wait to share with you all the outfits I wore in my upcoming blogs! Mehendi and Cocktail are the two occasions where you can play around with your attire. So I decided to design the both on my own (No, I’m not a certified designer) and got them stitched from a boutique! And trust me, it turned out to be pocket friendly ? 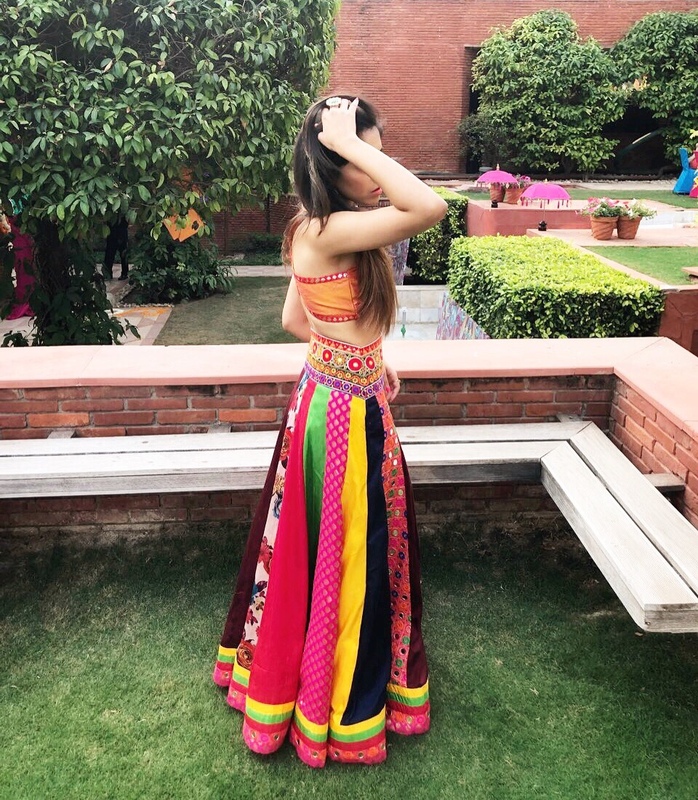 Instead of going in for a traditional lehenga with dupatta, I opted for a high waist colourful lehenga, cross-back blouse with mirror details and no dupatta. 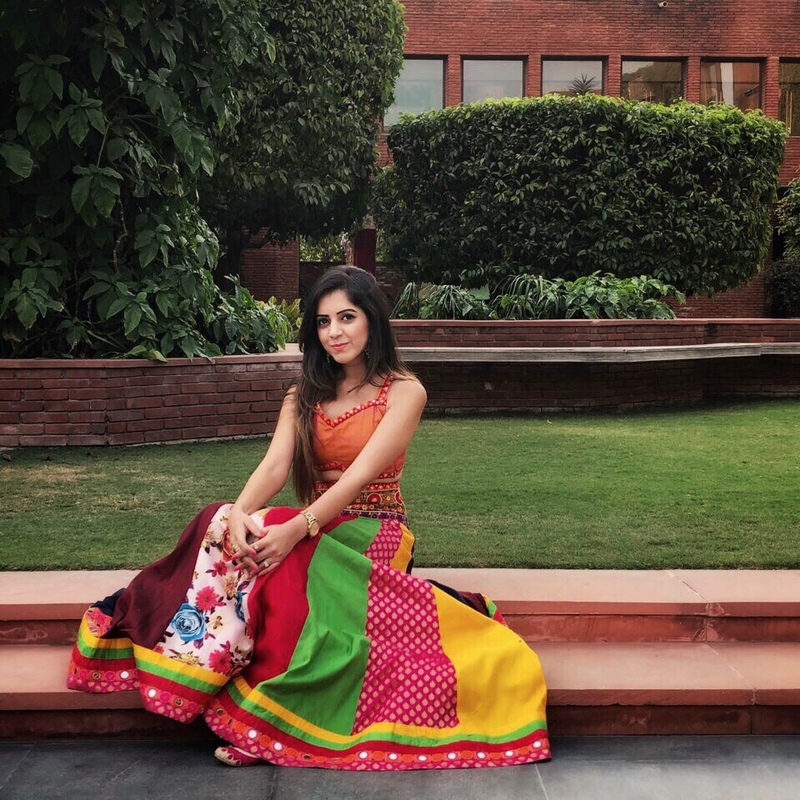 I bought five colourful raw silk fabrics and added floral, banarsi and mirror work fabrics to it. For waist belt, a Gujarati thread work fabric, again with slight mirror details (I just love mirrors!) worked the best with all the colours. Kundan or Polki accessories paired with this outfit would be an icing on the cake! I would love to have your opinion on this attire!